By I.B.Sneddon published in the British Journal of Dermatology (1976) 94, Supplement 12, 121. British Journal of Dermatology is the dermatological magazine with a long history. The extra edition published in 1976 featuring topical corticosteroids (TCS) also carried Dr. Vivier’s review on tachyphylaxis, which was introduced in Chapter 15 of this book. Dr. Sneddon is a dermatologist in Sheffield, Central England, renowned for Sneddon syndrome (net-like mottling of the skin followed by stroke, which is now considered antiphospholipid syndrome). One can therefore formulate cautionary rules about the use of strong steroids in these cases. The treatment should be continued for only a short time but in many of them the stronger form of steroid is probably not required. It must be remembered that if strong steroids are put into the patients' hands they are likely to continue to use them, despite medical advice, because rebound recurrence of inflammation may occur when the treatment is stopped. One should be especially careful in prescribing strong steroids for children and adolescents. Around 1976, contributors to steroid addiction seem to have been patients themselves, who preferred more potent topical corticosteroids and continued application against medical advice in fear of rebound inflammation. Right now we have a ridiculous situation where dermatologists only insist on the safety of topical corticosteroids and have forgotten the phenomenon of addiction or rebound. Patients with atopic eczema seldom develop atrophy of the face, possibly because the epidermis is thickened, and penetration of the steroid to the dermis is insufficient to cause destruction of collagen. However, occasionally it does occur, but in young people any telangiectasia produced appears to be reversible. Recovery depends on age rather than duration of treatment, and it may well be that in the older age groups topical steroids are only accelerating the natural process of skin collagen damage by light. I recently followed up the course of a woman aged 36 years who had controlled atopic eczema of her face by using betamethasone valerate cream under her own make-up for 10 years. She developed severe telangiectasia over the whole of the treated area. She was first seen in July 1973. Cessation of the use of the steroid did not produce a significant improvement and her facial skin remains telangiectatic and atrophic-looking in 1975. Dr. Kligman et al. reported 2 years before this paper that patients with atopic dermatitis (AD) are likely to get addicted to steroids and suffer from rebound after withdrawal. According to Dr. Sneddon, it is rare for patients with AD to develop atrophy on the face treated with topical corticosteroids, but once atrophy is developed on the face skin, it may be irreversible especially when patients are of mature age. Some years ago, a woman with AD in Kawasaki City filed a claim against her former doctor for negligence. She became steroid addictive due to long-term treatment on her face with topical corticosteroid, and endured a severe rebound period before succeeding in withdrawal. She insisted the dermatologist should have made due consideration in administering topical corticosteroids to prevent steroid addiction. She lost in the end. This is a civil case already settled and I refrain from discussing it again, which would be annoying for both parties. But I’d like to comment on　an expert opinion presented by the defendant, which was written by Dr. Kawashima of Tokyo Women’s Medical University. I could rent the entire document from the person concerned. The summary is that: 1) aggravated eruption of the patient’s face is not considered as steroid rosacea but is the exacerbation of AD itself; 2) for rosacea-like dermatitis will disappear within one year; and 3) topical corticosteroid application is a standard treatment method for AD. It is true that rosacea-like dermatitis caused by applying TCS on the healthy individual’s face will disappear through a rebound period of some weeks to months. Dr. Kawashima concluded that the symptom developed by the female plaintiff did not disappear within this period and, therefore, it was not rosacea-like dermatitis attributable to TCS but AD flare, and that using TCS is a standard method for AD treatment and is no problem at all if used for long. What I think is a problem with his opinion is that he made no reference to “addiction” or “rebound,”which was the reason the plaintiff took a legal action. In addition to this, he only responded with the findings for “rosacea-like dermatitis”recovery process in healthy subjects. It was not possible that Dr. Kawashima did not know about the risks of TCS such as addiction (rebound), cutaneous atrophy persisting 2 years after discontinuation and other adverse effects, which Dr. Kligman and Dr. Sneddon had already alerted repeatedly in their papers. Apart from the suit itself, I think, as a dermatologist, his opinion missed the point and did not answer the plaintiff’s question in good faith. Finally there is one point on which I have seen no comment, and that is the penetration of steroids through atrophic skin: one would expect it to be increased. As the epidermis and dermis become thinned a larger and larger amount of steroid must penetrate to the dermal blood vessels and thus may have systemic effects. We know that, given reasonable care, adrenal suppression does not occur to any great extent with the topical use of steroids. I have, however, had one patient whose mother was obsessional and treated her 11-year-old child, who had mild psoriasis, with 120 g of betamethasone valerate ointment under polythene occlusion weekly. The girl developed striae so severe that the subcutaneous fat ruptured through them. When she was first seen it was not appreciated that she was dependent on the steroid penetrating the skin to replace her suppressed serum cortisol and when the betamethasone valerate cream was discontinued she died from adrenal failure. There occurred such a case in the past. As I mentioned in Chapter 4, when adrenal failure is suspected, serum cortisol must be determined to confirm whether or not adrenal failure has developed before addressing steroid withdrawal. If adrenal failure is observed, substitution therapy with systemic steroids is essential to avoid the worst consequence. If patients reject systemic steroid administration, one option is step-by-step reduction measuring serum cortisol. There’s no way other than withdrawal to save an addicted patient, and it is only doctors with medical expertise about addiction and rebound that can help such patients. Dr. Sneddon must have disclosed this embarrassing case of a patient who died as a result of adrenal failure to hand on his knowledge to the future generations of dermatologists so that they can provide better treatment. In those days, various problems associated with TCS were revealed one after another and dermatologists were seeking the way to solve them. But what was recorded and found then has not been communicated enough to young dermatologists in Japan. Addiction and rebound are put under taboo in dermatology magazines and textbooks. I happened to find the following statement on the website of one dermatologist (declaring to have been approved as a JDA medical specialist). It’s no use to retrieve medical studies from all over the world with the keywords of “topical corticosteroids” and “rebound. All we can hit are reviews on systemic steroids. In foreign countries, “rebound”means the one resulted from systemic steroid application. This left me speechless. It is certain he has never searched for medical papers with “topical corticosteroids” and “rebound.” I feel alarmed to imagine that such a dermatologist continues to administer topical corticosteroids through daily practice. I think Dr. Takehara (Kanazawa University) and Dr. Kawashima (Tokyo Women’s Medical University) are responsible for making Japanese dermatologists have such a biased notion by concealing the addiction and rebound problems. 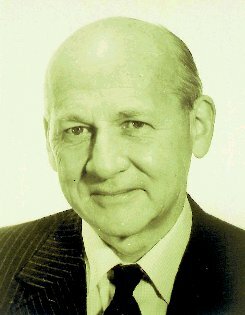 Dr. Ian Bruce Sneddon (1915-1987). The paper introduced in this chapter was written when he was 61 in 1976. Since it was in 1952, when Dr. Sneddon was 37, that topical corticosteroids were used for the first time and confirmed effective for AD treatment, his paper was based on 24-year-long clinical experience.